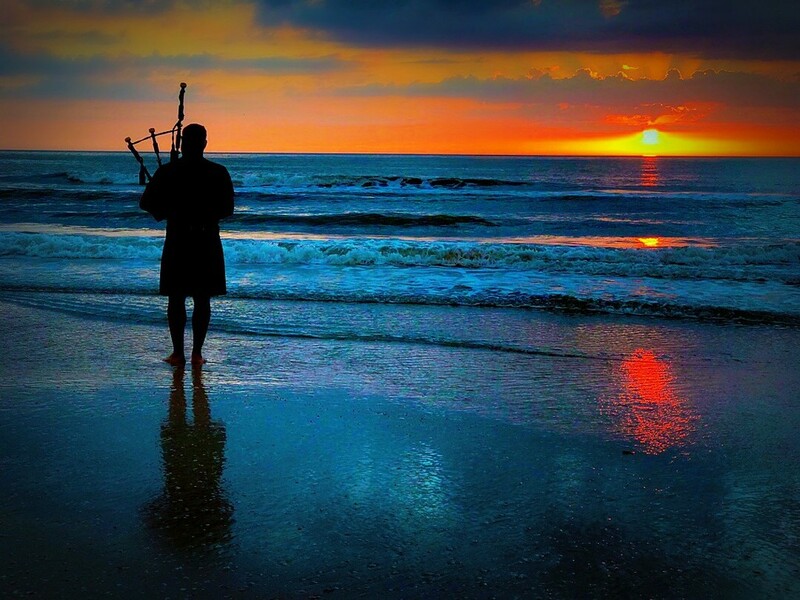 It really was quite special to hear him play the bagpipes at sunset until the sun dipped into the sea. He would draw a surprised and appreciative crowd. Nice on Black. Great beach scene . Fav. Beautiful colors and nice song/music. That must have been amazing to hear- it would give me goose-bumps as I love the bagpipes! Love how this is composed. Love the lighting. Stunning! Very nice. Love the bagpipes. Beautiful! I also love Eva Cassidy. Fabulous on black - what a special treat to be there to hear it. Wow, this is amazing. Must have been a treat to experience. Wonderful on black - had to be so moving. Gorgeous shot! Would be amazing to hear. Ah, Larry from Prince Edward Island appears again at sunset with his pipes! I have to say, I would have been down there every night to listen to him too. I love the sound of the pipes and there's no better place to hear them than outdoors. Such a moving image. Would love to have been there. Oh I love this, beautiful colours and comp! Just wow! This is an awesome capture. Fav. A very evocative image. There are many other very good versions of Danny Boy. I loved the way it was used in the Coen Brothers film Millers Crossing! But afterwards the beauty and romance of the song disappeared forever for me! Thanks for sharing your awesome experience. Beautiful photo.